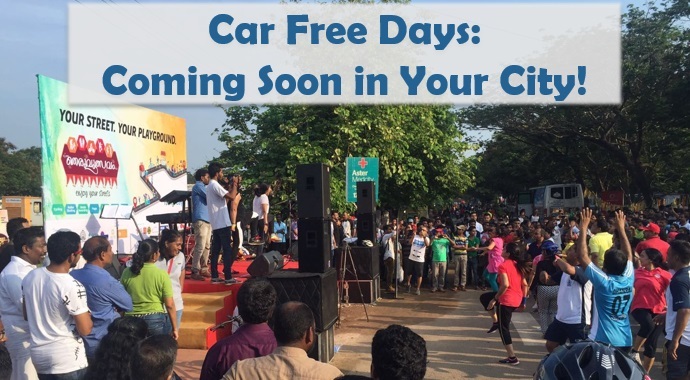 Car Free Days : Coming Soon in Your City ! CODATU: Agir pour une mobilité soutenable dans les villes en développement > Publications > Articles > Car Free Days : Coming Soon in Your City ! 22 is the World Car Free Day, a day that encourages drivers to abandon their car for a day and consider other travel modes in urban areas such as public transport, bicycle, walk, etc. Even though September 22 was celebrated in more than a hundred of cities worldwide at the beginning of the 2000’s, it lost a part of its attractiveness afterward. However, some cities use this concept to educate people about the importance of reduction in car use within cities, and close regularly sections of their streets to motorized vehicles during a morning or a day. There are many examples of weekly and monthly events across the world which allow a new appropriation of public space and a promotion of sustainable urban mobility. CODATU proposes at the bottom of this article to identify Car Free Days worldwide to facilitate the implementation of such events. The first Car Free Days were organized in Europe between November 1956 and January 1957 in the form of Car Free Sundays. In 1973, other events are organized again, and then disappear quickly. These few demonstrations targeted economic issues as it was organized in reaction to oil crises: Suez in 1956 and the oil crisis of 1973. In 1997, a new Car Free Day is organized in Reykjavik (Iceland), bringing this time a public health and eco-responsibility message. The new concept seduces and spreads in different cities in Europe. The European Commission launches in 1998 the campaign “In town, without my car!” in order to encourage cities to minimize car traffic on September 22. 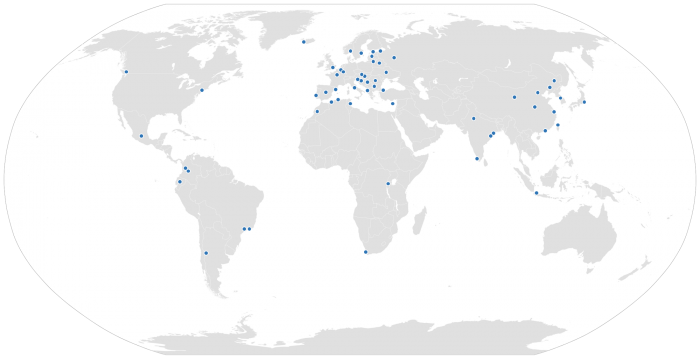 The number of mobilized cities increases every year in Europe first, and later in the world. National program support these initiatives allowing local representatives to valorize their political project (video). Regarding the environment, the lower noise level and the change in the sound environment are appreciated by the citizens. A decrease in the pollution level in the event area is observed, but there is less influence on the overall pollution level. From Fangeat E. et al. (2001), En ville, sans ma voiture ! Evaluation du 22 septembre 2000 : résultats et analyses, CERTU, 118 pages. In 2004, approximately 1500 cities in the world used September 22 to educate their population about the consequences of the growth of car use and the possible alternatives. While September 22 started spreading all over the world, the European Commission created the “European Mobility Week” taking place from September 16 to 22. That is how the Car Free Day got diluted within the mobility week. In several countries where the Car Free Day has been celebrated for years, public authorities found a “progressive shortness of breath” and expressed the need to push the concept forward (it was the case in France where the number of mobilized cities came down from 98 in 2002 to 59 in 2004 ). A lot of political leaders considered hard and expensive to “block the city” on a weekday. According to the Ecology Minister Serge Lepelier, it was not about considering car as a “scapegoat” any longer, but to “show that the use of different modes of transport can be the solution” regarding bicycle, carpooling or public transport . For the associations promoting these alternative modes, ensuring an impact with an annual event is difficult when car use remains the same during the rest of the year. They criticize the lack of coherence between these events and the policies actually implemented. A withdrawal of northern cities from 2015 has been observed accordingly. In 2015, only 330 cities were still celebrating September 22 as the Car Free Day. However, several Car Free Days appeared all over the world in the form of of annual events (also organized on a different day), or weekly traffic restrictions generally on Sunday. 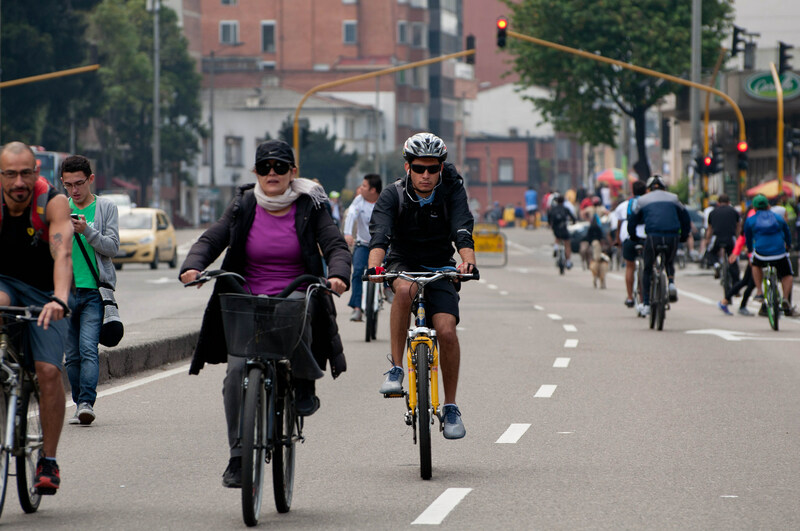 The city of Bogota (Colombia) was one of the first city in a developing country to use the Car Free Day concept. From 1984, Bogota mayor already planned to block several secondary streets on Sunday mornings with the “Ciclovia” program. As the city suffered from budget cuts at the time, authorities could not afford expensive projects. But the initiative now encounters a growing success. From 1995, main roads such as Carrera Septima, historical road linking a rich neighborhood with the city center, were step by step integrated to the program and got extended to non-working days. Enrique Penalosa, mayor from 1998 to 2001 and reelected in October 2015, wanted to celebrate Car Free Days in order to promote public transport and bicycle use in the city (he also initiated the “Ciclorrutas” program, an important network of cycle lanes). Car Free Days are really successful in some great cities of Asia. Taipei City organizes a Car Free Day on the first Saturday of every month since 2002 and thus closes a part of the city to cars in order to organize different activities such as a huge cycle course . 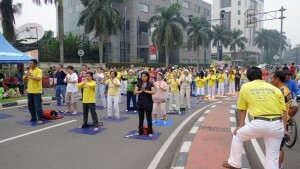 China also got involved in these kinds of initiatives through “No Car Days”, as part of the campaign “Green Transport and Health” launched in 2007 . In 2015, the country encourages its cities to participate to the World Car Free Day by asking the inhabitants to leave their car for a day. 170 Chinese cities joined the initiative such as Beijing, Shenzhen, Chengdu, Wuhan, or Ningbo . Annual Car Free Days are also organized in foreign cities such as Bangkok (Thailand)  or Kuala Lumpur (Malaysia) . 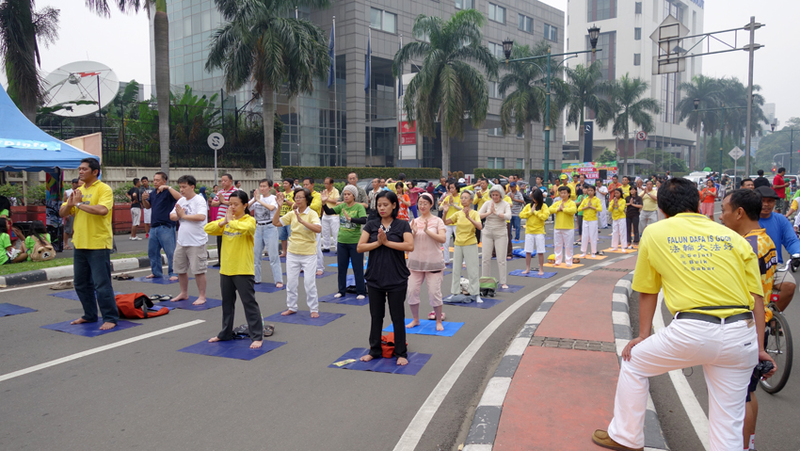 Jakarta (Indonesia) has been organizing since May 2012 a monthly Car Free Sunday on its main avenues. From 6 to 11 AM, people could cycle or join street activities. Because of the success of such initiative, these events are now organized every week . In India, “Raahgiri Day” in Gurgaon, peripheral city of Delhi, encouraged its inhabitants for 6 months – from 2013 to 2014 – to reclaim the streets closed to cars every Sunday morning. These events give people the opportunity to use their streets for outdoor activities, but are also a strong symbol in polluted cities. Delhi was at this time considered as the most polluted city in the world. Raahgiri Day was so successful that it started to spread in fifteen other Indian cities such as Delhi itself. This is the case of the city of Kochi which organized its first edition on May 1st 2016 with the company Kochi Metro Rail Limited (KMRL) with the support of CODATU. Many outdoor cultural and sport activities were organized on Shanmugham Road which is one of the major roads of the city center. In Maghreb, annual Car Free Days have started proliferating in the late 2000, with a first event in Algiers (Algeria) in 2008. 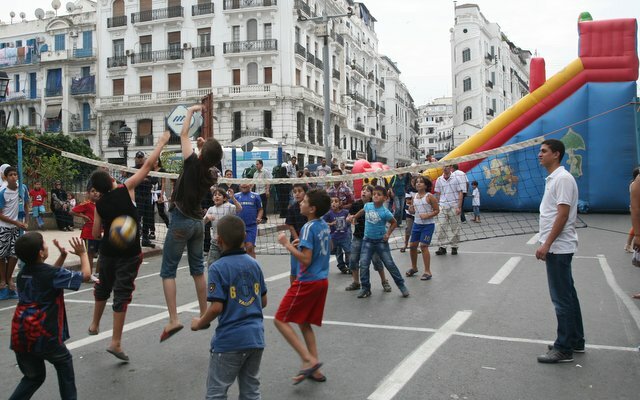 Once in a year, on sunday, the streets of Algiers are given back to pedestrians, with various activites organized for them. The latest edition was held on May 6th, 2016, and tried to get few messages accross, through the organization of the Women’s run « The Algiers », to reflect on the place of women in the society. The race gathered 4000 participants . In Morocco, Car Free Days started in 2008 in Rabat , and more recently in Casablanca, considered as the « biggest Car Free Day even organized in Africa » . An annual event also started in 2010 in Morocco in order to promote the use of bicycles, through a cycle rallye of 12kms. Cycles were made available on rent for the event which attracted 700 people in 2014 and 830 in 2015. The latest event took place in May 29th, 2016 . The emergence of Car Free Days in Tunisia started later, first in secondary cities. The city of Sfax organized its second edition on September 20th 2015, allowing only buses and cycles to ply in the centre, in order to raise awareness on the importance of sustainable transports . Another Car Free Day was organized in June 2016 in the centre of Monastir, coastal city of Tunisia . In South Africa, volunteers from Capetown have been organizing Car Free Days since 2012, through the « Open streets » initiative. The lastest event took place on October 4th, 2015, in the area of Belleville . Johannesburg is also part of the global initiative, through the promotion of its public transport system. But the vibrancy of Jo’burg got reingorced during the second edition of the « Ecomobility Festival » in October 2015 in Sandton. Events were organized on the streets, as well as debates and conferences on ecomobility, as a prefiguration of the COP21 in December 2015 . Even though the rest of Sub-saharan Africa is not much involved in those initiatives, it is picking up. For example, a first Car Free Day was organized in 2015 in Kigali (Rwanda), in the year a pedestrian street was created. The authorities, who also introduced a monthly Car Free Sunday in the city-centre, consider that these Car Free Days are part of the Masterplan ambition of a « green city ». In 2016, this event also enabled the awareness around public health and transport. There is no standard model for Car Free Days. Initially considered as a European concept, the event spead out and got implemented in various manners. However, two types of Car Free Days can be distinguished: huge events of an exceptional nature (over the week or on sunday), and regular events. These two types are not incompatible as they meet different objectives. The Car Free day organized in September 2015 in Paris, the one organized in Kochi and Algiers are huge events with a symbolic dimension. They aim at bringing together a large number of people exceptionnally, around the challenge of sustainable mobility. Thus, Ms. Anne Hidalgo, Mayor of Paris since 2014, who wanted to organize a Car Free Day before COP21 on the Champs-Elysées, describes the event as a « symbol » to show that « Mobility can be conceived differently » . It is usually planned around major axes where very popular activites are organized, such as sport tournaments or concerts. Raahgiri Day 2016 in Kochi is a great example, with the numerous activities and events organized all along Shanmugham Road: fun run, football match, zumba, yoga, reading, painting, kite flying etc. This type of events is usually very political, which explains the high mediatisation. For example, Paris wanted to spread a strong message with the display of images showing the Champs-Élysées avenue full of pedestrians and cyclists. In a different style, the organizers of the Car Free day in Algiers took advantage of the event to organize a Women’s race. However, there should not be any confusion between these awareness activities and the real actions taken to improve mobility in the city. The federative nature of the event makes it difficult to organize it on a regular basis. That is why this type of event is usually annual, even if there is a risk that the second edition might not happen. That is how the city of Montreal announced in 2014 the end of the Car Free Days, prefering to focus on other components of its mobility agenda . In contrast with those huge events, many cities have opted for a smaller scale event, more regular. Once in a month or in a week, cities like Bogota, Brussels, Sao Paulo, Taipei, Jakarta, Paris or Kigali close temporarily a street to trafic, giving back the street to people for various usages. These actions usually need the drive of a federative event in order to legitimate it. This is the case for Kigali, Brussels, but also Paris, which found a successfull continuation of the Car Free Days with the recent proposal to block Champs-Élysées to traffic once in a month, as it is already done on the River Seine banks. Well known by the inhabitants, this alternate way of using the public space materializes a mobility policy and gives the opportunity to change people’s behaviors in the long run. It also prefigures urban projets in favor of pedestrians and cyclists. Raising awareness on the direct impact of cars on the quality of life: Car Free Days are a unique opportunity to show what a city without cars would look like, and emphasize on the negative externalities of cars: air, noise and visual pollution, insecurity, climate change, public health, etc. Reflecting on the function of public spaces: when a city decides to block the streets to trafic, the roadway becomes a new space available to all. The inhabitants can use and transform that space through the organization of fun, cultural or sports activities. The recaptured space is a new source of expression for the civil society. These activities also give an opportunity to the citizens to get involved in the neighbourhood life and reinforce civic engagement. Communicating afterwards: Paris or Bogota communicated about the decrease in GHG emissions (45% in Bogota in 2008  – figures contentious though – and 20 to 40% of the nitrogen oxide emissions in Paris in 2015 according to the areas (AirParif, 2015) . Paris also communicated on the average decrease of 38% in the noise energy (BruitParif, 2015) . Thus, Car Free Days are above all transitory events which should necessarily be set in a strong mobility policy, in order to have a real impact. In the case of an annual Car Free Day, it is still an efficient communicative event for better quality of life in the city, as well as climate, health and welfare issues. Regular Car Free Days (weekly or monthly), smaller in terms of media coverage, are meant to create new habits. They are especially successful in cities which lack open spaces and pedestrian infrastructures. In both cases, these temporary changes in the usage of the public space should raise awareness on the urban mobility policy prepared by the public authorities. The map below depicts the majority of cities involved in Car Free Days all over the world. Help us in completing the map, thanks to the form available at the end of the article! Share your experience! Contact us! By this questionnaire, CODATU wishes to identify all existing events and facilitate the organization of such event in your city. If you are interested please contact us! Did you organize a Car Free Day on September 22nd 2016 (or at another date) ? Have you ever organized a monthly or weekly Car Free Day?